Description of Reverse Auction. Explanation. 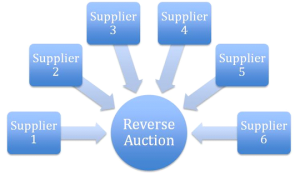 A Reverse Auction is the auction business model in which the role of the buyer and the seller are inverted, mainly with the objective to drive purchasing prices downward. It is a strategy used by many purchasing and supply management departments. In a reverse auction, a (mostly powerful) buyer issues a Request for Quotation (RFQ) for particular items or services. Multiple suppliers quote the price at which they are willing to supply the requested items or service, typically using specialized software or through an online marketplace. The sellers offer bids on the items, competing to offer the lowest price that meets all of the specifications of the bid. As the auction progresses, the price decreases as sellers compete to offer lower bids than their competitors. Unlike a regular auction, prices in a reverse auction decrease as the bidding process is going on. The quoting is often performed via the internet, resulting in a real-time bidding process. This results in a downward pressure on prices to levels that are normally not achieved using a regular static 3-quote paper-based purchasing process. The contract is often - but not always - awarded to the supplier that provided the lowest price: quality, lead-time, capacity, and other value-adding capabilities can also play a role. Critics of the model say the model is often a zero sum game, especially for suppliers. 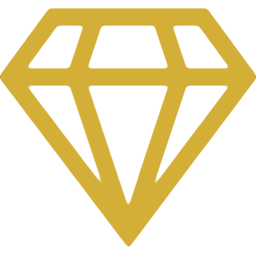 This ends our Reverse Auction summary and forum.